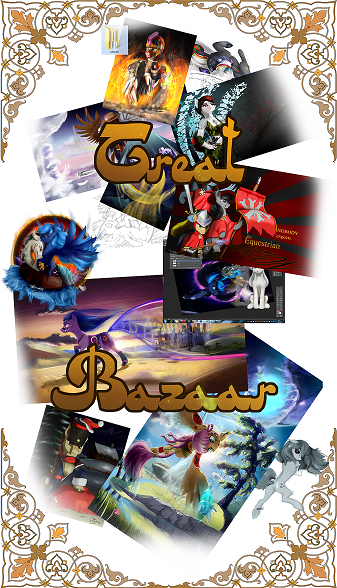 Welcome to the DiscordTheGE's Great Art Bazaar. Hello, i'm a Russian draconequus from Great Stalliongrad (in fact, i am just a simple man, of course -_-), who want to give some happines to every brony (and fur-fan, but less often) with digital art's =3. I am a self taught artist, drawing is my hobby, relaxation activity, but it does not mean that i do my art very rarely. Probably, this activity may become a real work (incredible dream). So, why i am here. It's pretty simple to answer - i'm a greed jew i want some support. Of course, positive criticism and just simple comment like "Hey, i love this guy" very encourage me, but tinkling coin "...make me great again"(c) ^_^. HQ-files and .PSD of my free-works.